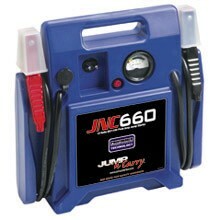 1700 peak amps of starting power and weighs only 18 lbs. Purchase from the Factory for $40.00 a product for life coupon. ����� Use it...abuse it. No problem, they will take care of it. ����� Simply return your JNC unit along with the coupon and the original sales reciept.